With share prices at a discount to the PSU Bank book values, these shares are generating a lot of buzz. Every time one thinks that the mess is clear now, new skeletons fall off the closet. Experts have been calling the bottom for PSU Banks from quite sometime now. 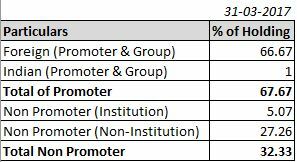 Many are citing the huge discounts at which PSU Banks trade to their book values viz-a-viz their private sector peers. PSU Bank book values are reported by the management. It may or may not be a true reflection of the books because if the figures in the balance sheet and revenue statement are incorrect then the book value is incorrect too! So why will figures be incorrect? The loans that banks give are assets for them. So when the value of this asset erodes, the book value falls. As the banks start reporting NPA’s, the PSU Bank book values erode (due to write of off assets). 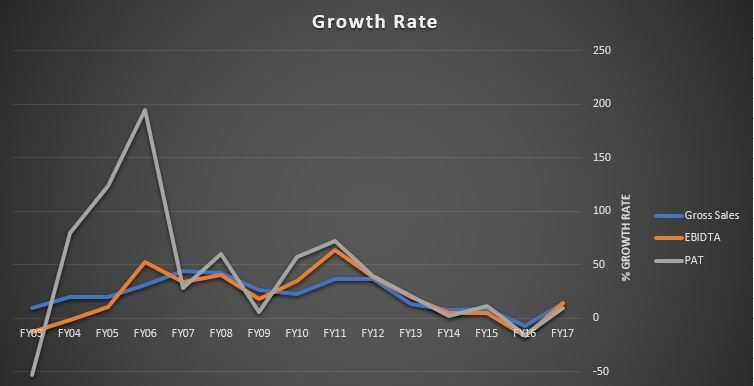 However, if you get the right PSU Bank whose asset quality will not further deteriorate, then a revival in India’s core manufacturing sector can see the book values appreciate and also a re-rating to occur. Re-ratings can happen sharply. Imagine a 0.3x PB Ratio moving upto 0.6x within few quarters! 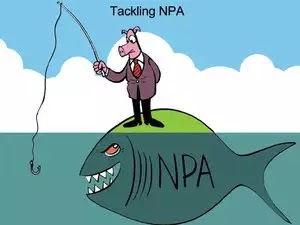 However, the asset quality of PSU Banks is anybody’s guess and you never know how many more skeletons will fall out of the closet as a probe for all NPA’s above Rs 50 Crores begins. For reviving the PSU Banks, the Government will have to reduce the number of PSU Banks to 3-4 and privatize/merge most of them. Till major reforms kick in, these banks won’t offer much to shareholders. Rs 10,000 invested in this stock in February 2009 would be worth Rs 27.5 Lakhs today (excluding dividends). This stock has turned into a mega-bagger and is the type of story every value investor would like to invest in! The stock that we are talking about is – Astral Poly Technik Ltd.
Astra Poly Technik Ltd. (est. 1996) operates in the plumbing and drainage systems industry. The company caters to the residential, commercial, industrial and agricultural sectors through a vide range of products. The company has it’s plants in Santej and Dhokla (Gujarat) and also in Hosur (Tamil Nadu). The company was the first in India to introduce CPVC pipes and has created a strong brand image in the CPVC segment for itself. Sandeep Engineer started an API manufacturing unit in 1987. Due to many regulatory hurdles he could not expand his business and shifted his focus to CPVC pipes. 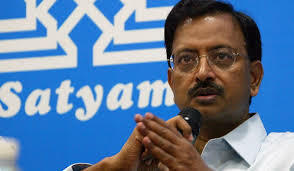 In 1999, he started his own CPVC plant in India. In 2002, he was staring at bankruptcy and this is when he decided to focus on the plumbing industry and since then there has been no looking back. 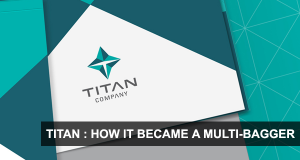 In a previous case-study (Read: Titan: How it became a multibagger) we saw how a stock with ‘heated up valuations’ became a multibagger over the years. In case of Astral, we see the advantage of buying cheap! In 9 years, Astral’s PE ratio has expanded from 2.5 to 81.91; it’s PB Ratio has expanded from 0.6 to 10.55 and it’s EPS (Standalone) has expanded from 1.2 to 9.58. This has resulted in a stellar 85.63% p.a. 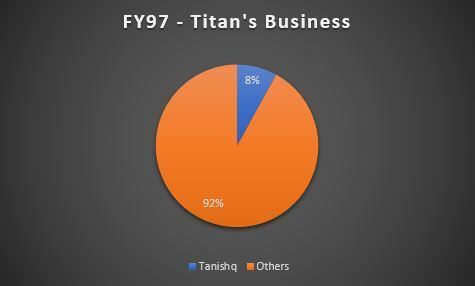 CAGR which has catapulted the stock price from ~ Rs 3.1 to Rs 785! So what helped Astral Poly become the multibagger that has created enormous wealth for it’s shareholders? Lets study in detail. The book value of Astral Poly has appreciated by ~ 27.15% p.a. CAGR which is a very healthy sign. Investors tend to focus a lot more on PE ratios and ignore others aspects like book value. While it doesn’t mean intrinsic value, the book value is a close proxy to the intrinsic value. Astral’s revenues have grown at a staggering 29.69% p.a. 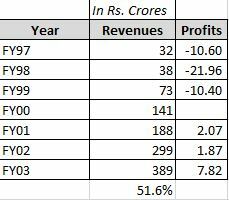 CAGR and it has been able to maintain it’s margins. This demonstrates the company’s pricing power. Talking of pricing power, it is interesting to note that the piping industry is totally fragmented with many local and national level players cutting prices. The PVC pipes industry was completely congested and Astral managed to create a niche by aggressively pushing itself in the CPVC segment. CPVC pipes are nearly double the cost of PVC pipes but the CPVC pipes could function better where hot water was used. They are also more resistant to corrosion While PVC pipes would leak often due to difficulty in fittings, CPVC did not face any such issues. Get 2 multibagger reports for free – Click Here.here. Despite rapidly increasing competition, the company managed to maintain it’s margins at comfortable levels and expanded its distributor base and presence aggressively over the years. 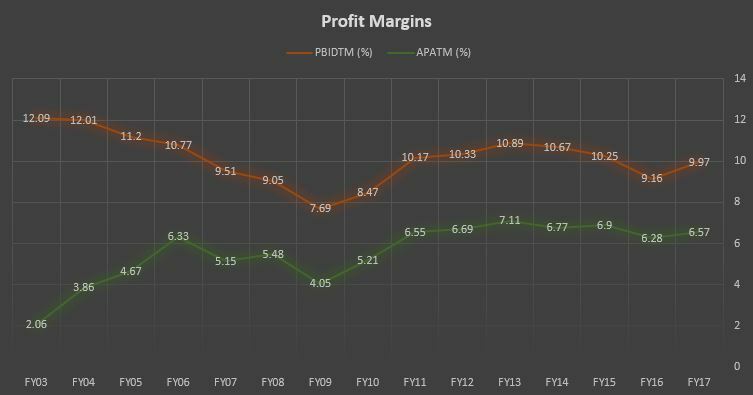 Sustaining pricing power is a crucial factor in the creation of multibaggers like Astral Poly. Another interesting point to note is that high growth years do not sustain for long when competition intensifies. 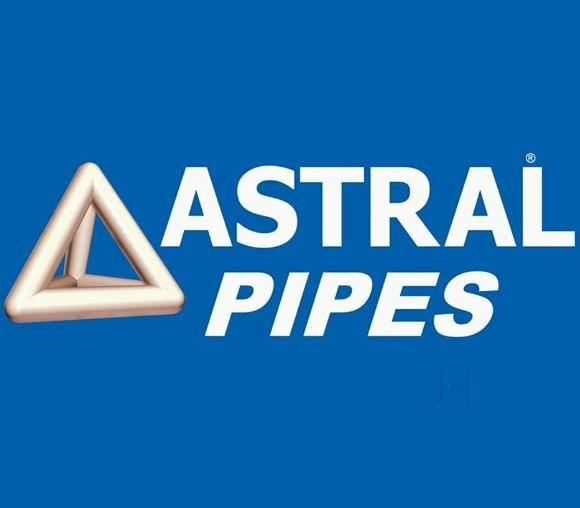 In the piping industry, a general slowdown in real estate activities and the entry of new players in the industry has slowed down Astral’s revenue growth rate (which is still at a decent pace). The growth has fallen to the lower tens (~ 12% p.a.) and is expected to increase to ~ 18% to 20% over the next 3 years because of a pickup in the real estate sector. The return ratios for Astral are very good – The company has maintained a high ROCE and ROE. Investors at times forget the importance of Return on Equity which can be the single most important ratio to look at while investing. At DalalStreetBulls, we pay a lot of importance to the turnover ratios (Read: D-Mart: Still a multibagger?) and Astral Poly shows why! 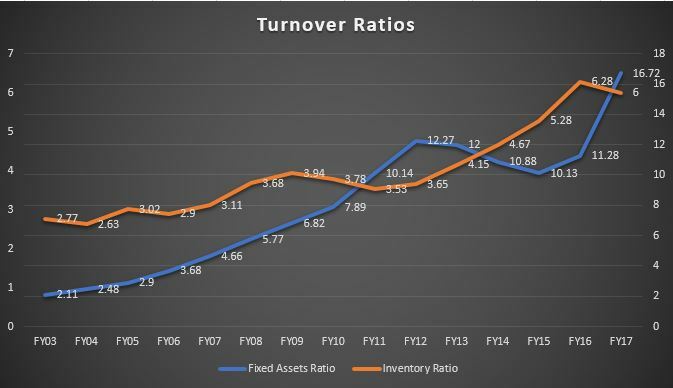 The fixed asset turnover was maintained and the inventory turnover increased dramatically from 4 to ~ 8 over the last 9 years. One factor is also the rapid expansion of the distributor network. 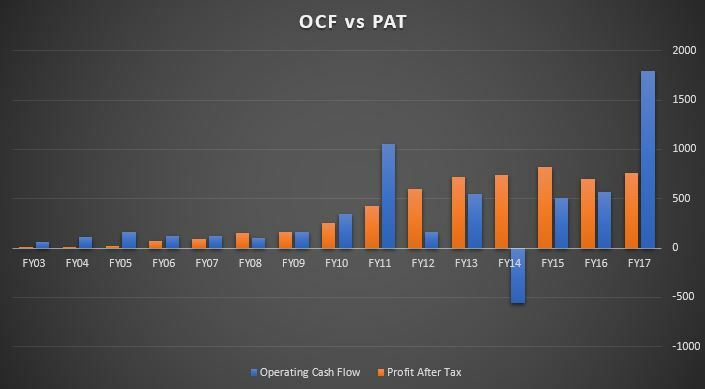 Over the last 9 years, Astral Poly has earned a PAT of Rs 572 Crores and in this period it’s cash flows from operating activities stood at Rs 763 Crores. Investors should study cash flows carefully before investing. A company earning only profits but no positive cash flows from operations raises red flags! Astral has always been a positive cash flow generating company and has demonstrated it’s ability to convert its profits to cash. First Mover Advantage – Astral identified a product that was a better substitute to an existing product (although it costed more). 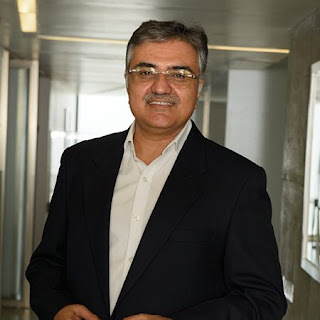 Astral used its first mover advantage to create a niche for itself in the CPVC industry. 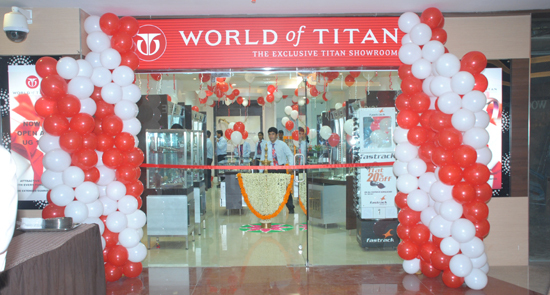 Branding – Salman Khan appealed to everyone! From the plumbers to the distributors. The companies objective of using a celebrity to endorse their product paid off well. At DalalStreetBulls, we are committed to identifying companies like Astral Poly for our clients. Check out our membership plans or take a free trial of our services by submitting your details here. Investors usually focus on past numbers and current valuations based on these numbers to take investment decisions. You cannot drive a car forward by looking at the rear view mirror. So, you need to gauge the growth prospects of the company and also the longevity of this growth before you invest. In our article titled: D’Mart: Still a Multibagger? we discuss this exact point of looking at current PE levels to term it as expensive. 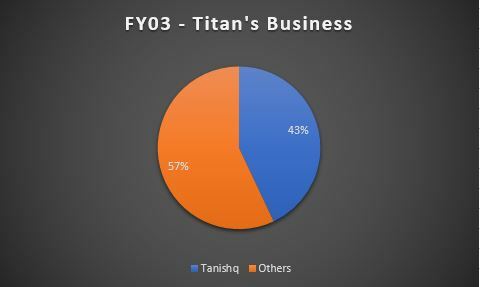 In D’Marts case we found many patterns similar to that of Titan in growth, profitability and efficiency.